Atoms are the smallest things in the universe. In the centre there is a dense nucleus that consists of positive protons and negative neutrons. The nucleus is surrounded by a cloud of negatively charged electorns. These electrons are bound to the nucleus by an electro magentic force. this means that atoms can be joined together by this force forming materials. 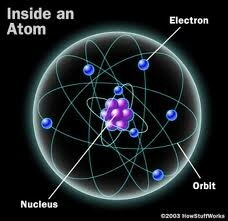 Elements are made of only one type of atom. 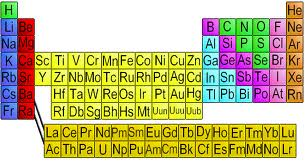 Elements are displayed in a periodic table and ordered into metals metalloids and non-metals examples of this are; gold, silicone and oxygen. 90 of the elements are known to occur on Earth naturally 80 are stable and the rest occur artificially in synthetic nuclear reactions. Examples of the mmost common elements are iron or oxygen or nitrogen. elements can either be formed with just single atoms or they can have two or more atoms joined together. these are called molecules and elements such as sulphur are formed of molecules of up to 8 atoms. 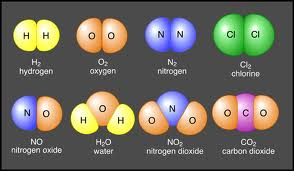 Compounds are materials formed of 2 or more types of atom there are thousands of these materials on earth for example water (made of hydrogen and oxygen) is a common compound and carbon dioxide (made of carbon and oxygen) is a comound that we exhale. All compunds are formed as molecules and have various properties such as the ability to explode or poison someone.